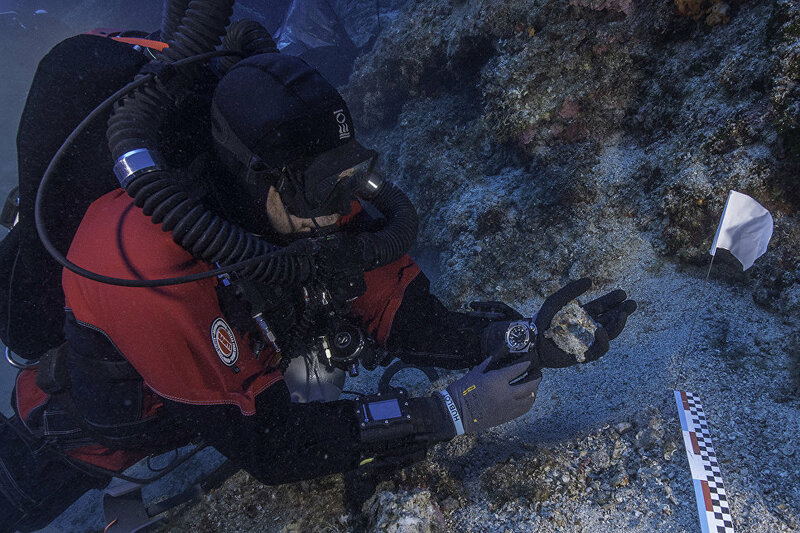 A merchant ship that sank in the middle of the I century BC near the Greek island of Antikythera with its unique wealth – art and technology, including the anti-Quiet mechanism, continues to amaze with new finds – this season underwater archeology has found dozens of items on the site of the shipwreck. A bronze disc in which a bull, a hand and a piece of clothes of a bronze statue, a marble slab, bronze ornaments of complex wooden furniture are hidden is only part of the finds of this year, said archaeologist Elia Nikitopoulou, a member of the Museum of the Catherine Lascaridi Foundation. The fund, which supports the work at the shipwreck site, presented to the public 37 items found in the course of work since 2014. Among them, a gold ring – a find in 2016, pieces of glass vases, a set of earthenware vessels, some ship cargo, as well as pieces of the ship itself. Finds of this year are placed in aquariums with water so that the metal does not collapse under the influence of air. Work on the site of the Antiquarian shipwreck will continue for several more years. But next to it was found another sunken ship, about the same period, there are amphoras, various fragments, but there have not been any studies at all, the archaeologist said. 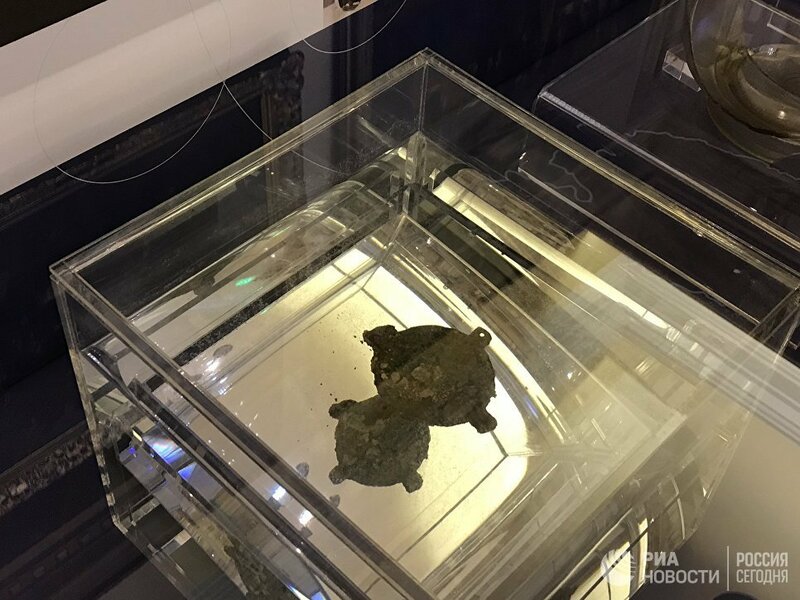 This is the most important for archaeologists ancient shipwreck – in addition to the Antikytherskoy mechanism, which is called the first computer in the world and which for more than a hundred years is of great interest to scientists around the world, there were found bronze and marble statues, amphoras. According to scientists, the cargo was intended for a rich Roman who collected Greek works of art, which was usually for that era. The wrecked Roman cargo ship – a stalk or an orcas – could carry 250-300 tons of cargo, its fragments lie at a depth of 52 meters. The vessel had a length of 30-40 meters, a width of 10-14 meters and a draft of up to 6 meters. Such heavy sailboats were used in the II – I centuries BC in trade between the Apennine peninsula, the mainland Greece and Asia Minor. Found his sponge catchers in 1900, for two years, many items were raised, among which was the Antikythera mechanism. Then the work was interrupted for 75 years – a major study was conducted in 1976 by an expedition of the world-famous explorer of the underwater world Jacques-Yves Cousteau. Research resumed in 2012 – in two years a detailed map of the shipwreck site was compiled and from 2014 an expedition is sent there every year. “Usually the work takes two to three weeks – it’s a very costly exercise.” It’s necessary to gather a team that can conduct underwater archaeological work in a qualified manner, we need to find funds and get permits, and finally, we need good weather, “said Eliya Nikitopoulou. All found artifacts are stored in the National Archaeological Museum. 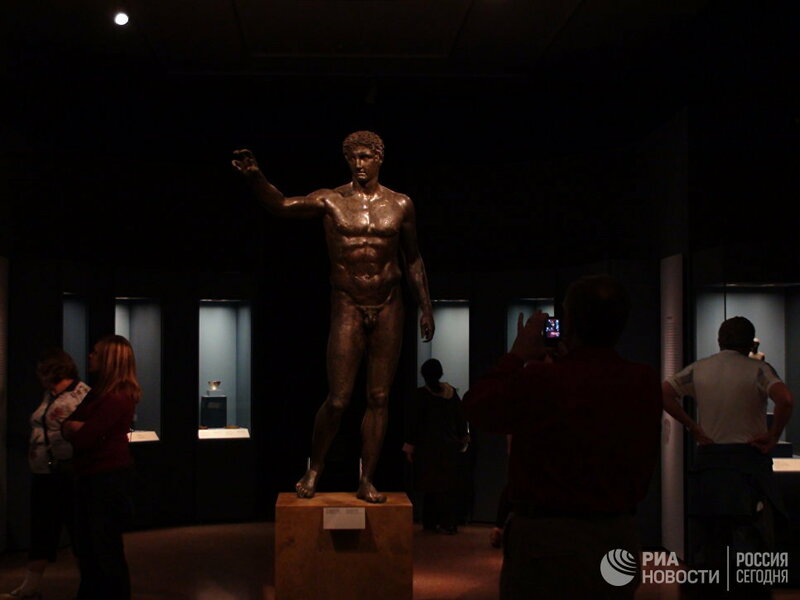 Among the most noteworthy findings is a bronze statue, known as the “Ephebe from Antikitere”, the middle of the IV century BC. He is identified either with Perseus holding the head of Medusa, or with Paris with an apple of discord, and the author could be the sculptor Cleon of Sicy. 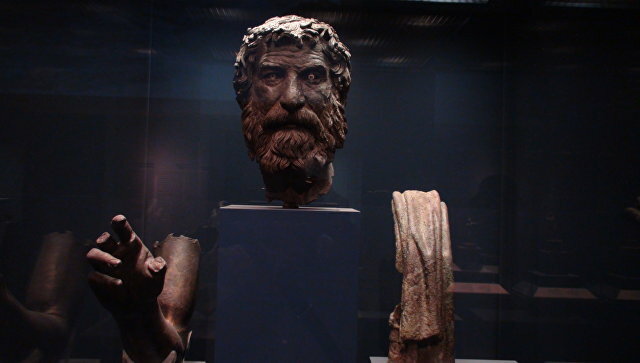 Other finds are parts of bronze sculpture “Philosopher” of the end of III century BC, bronze and marble statues – Odyssey, Apollo, Hermes of the Hellenistic period, coins, jewelry, ceramics, glassware. However, the most valuable and mysterious find was the Antikiterskiy mechanism – a device with several dozen bronze gears, which was used to calculate the motion of celestial bodies. Archaeologists date it approximately 120 – 100 year BC. The discovery was announced in 1902, and has since been studied. “The antikyter mechanism was very expensive, it was a luxury item, and it was among the cargo.” The owner of a simple merchant ship could not have such an expensive mechanism. “This is a very rare device, rather, it was used for astrological observations and could belong to some rich man or a scientist, he could be used both for scientific purposes and for teaching pupils, “said Nikitopulu. Using radiography, I managed to read a significant part of the inscriptions on the details of the mechanism, to establish the principles of work. According to the archaeologist, important discoveries have been made in recent months, which have not been published yet. 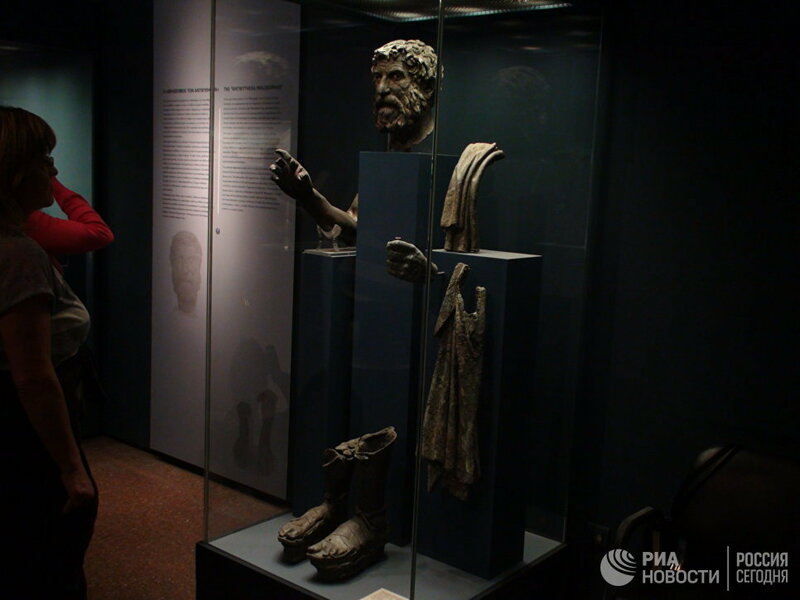 In 2016, the Antikyterskiy mechanism was exhibited in Moscow – the exhibition “High Technologies of the Ancient Greeks” was included in the list of events of the cross-year of Russia and Greece. Each expedition brings new significant discoveries. This year, during the research, the components of the ship were found, many fragments of amphorae and other vessels were raised. The works were conducted in the same place where last year human remains were found. 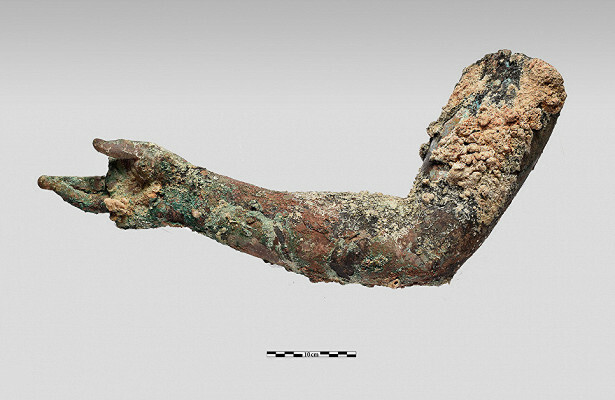 The Ministry of Culture of Greece, among the most significant results of the works, refers to a fragment of a bronze statue – a piece of clothing with folds, a bronze hand, a fully oxidized iron object, inside which, as the radiography showed, there is a medium-sized metal vessel, a rectangular plate made of red marble, an amphora handle similar to the two Other, found during previous studies. 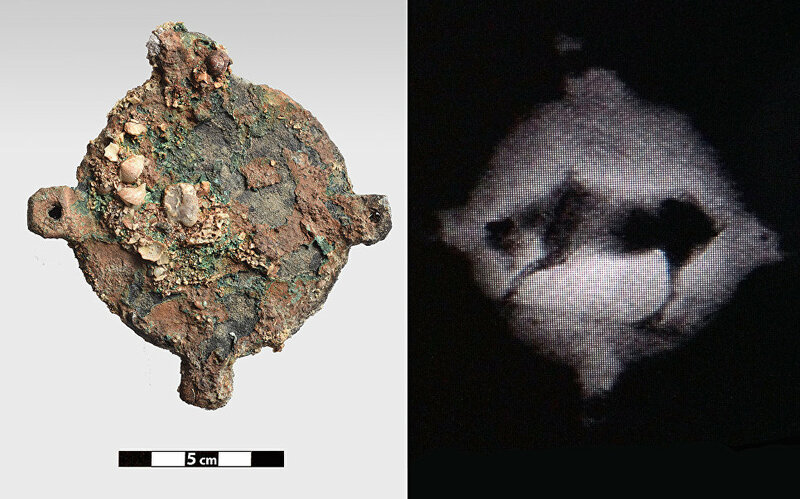 Among the bronze finds is a disk-shaped object, highly oxidized, with four perforated apses, on which, as the radiography showed, there is an image of an animal, perhaps a bull. 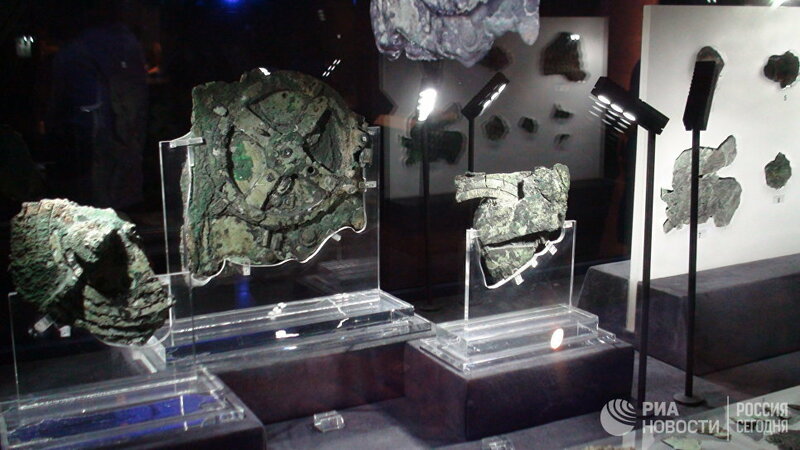 Scientists do not exclude that this artifact was part of the Antikythera mechanism or part of some other mechanism of the ship. A particularly important find in the Ministry of Culture is the wooden part of the ship itself, which, in combination with indirect information from the sponge catchers obtained in 1900, can shed light on the causes of the shipwreck. Some of the artifacts could not be visually identified – they will be studied and then identified. Now all the finds are in reservoirs with fresh water – “desalination” is necessary. “It is necessary to prevent the destruction of artifacts after rising from salt water.In fresh water the salt is gradually washed away.The process is very long.The tree can lie for two or three years, the metal a few months,” Nikitopulu said. 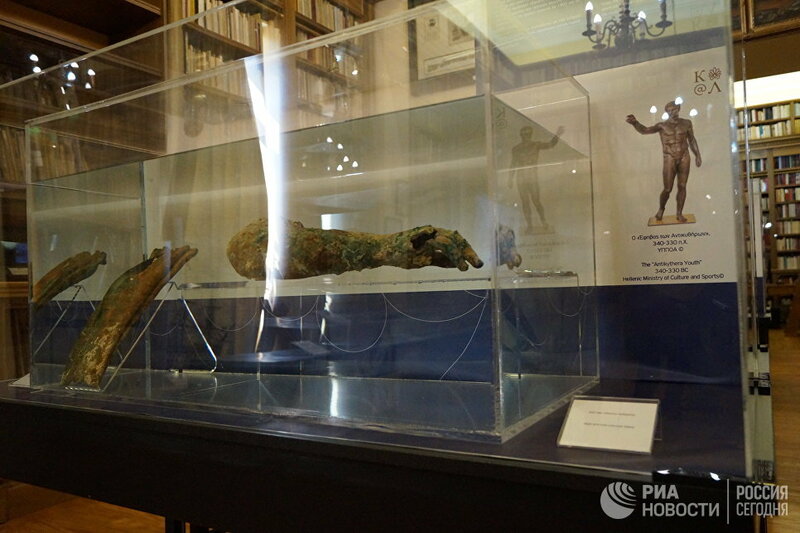 Studies this year were conducted in two other sections of the site of the Antiquarian shipwreck, where a mass of stones, probably discarded as a result of a powerful seismic event, are fragments of copper and marble statues. They will be the subject of future research, the Ministry of Culture reported. The work will go on for several more years, apparently, not less than seven years. In 2018, it is necessary to make a new permit for underwater works, said archaeologist Elia Nikitopoulou. In addition to the anti-Quiet shipwreck, archaeologists work annually on the site of the crash of the two-masted brig Mentor, at which the British envoy to Constantinople, Lord Elgin, took the stolen sculptures of the Parthenon to the UK. Brig sank on September 16, 1802, when he carried the treasure of the Parthenon, a few hours after leaving the port of Piraeus. The ship struck the rocks of Kifir Island, the ship banked and went to the bottom along with the sculptures of the Parthenon, plates of the frieze of the Wingless Nicky Temple, statues. Lord Elgin organized an operation to save sculptures, trappers from the Kalymnos and Simi islands raised 16 wooden boxes with sculptures and a marble throne, but this required such expenses that Elgin was forced to sell sculptures to the British Museum for 35,000 pounds. Greece is seeking the return of the Parthenon marble. Several years ago, archaeologists found three ancient coins, and there were suggestions that Lord Elgin was transporting not only sculptures, but other antiquities. “Coins have been found this year, including the Dutch gold coin of the 18th century, personal belongings – pipes, pistols, clothes leftovers, chess pieces – pawns, large blocks, utensils of daily use.” Images of Egyptian gods, possibly from the temple in Marathon “, – told Nikitopulu. But dozens of other ships rest near the shores of Greece. “Near the site of the Antiquarian shipwreck, literally 200 meters from it, there are the remains of another ancient ship, presumably it sank around the same time, amphorae and other vessels are visible nearby, but there have not been any works yet, , – said the archaeologist Elia Nikitopoulou. Predict that it will be possible to find there archaeologists, while it is impossible.